Plenty of space and protection for your 17" laptop. 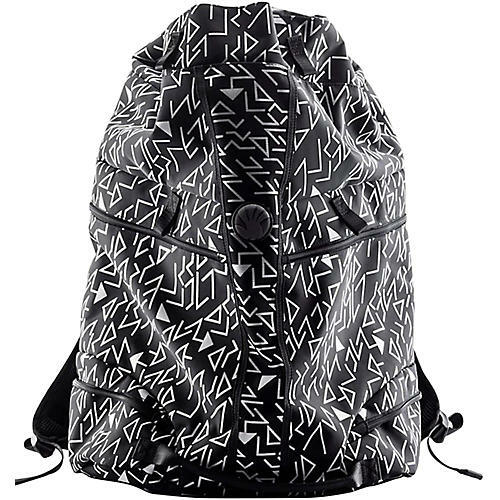 The Chaos is a lightweight, rugged and protective backpack that offers tons of open storage space (great for books, clothes and for DJ's with lots of cords) and has a dedicated Super-Cush padded 17" laptop compartment. The roomy inside gives you move storage space than the typical backpack. The drawstring cinch string makes it easy to secure and access the inner compartment. The laptop section features .25" of Super-Cush padding and two-hard plastic underbelly runners provide additional protection for your laptop. On the outside of the backpack are four large "seamless" storage pockets which are perfect for you to store many small gadgets, devices and accessories, like chargers, pens, money, keys, passport, boarding passes. Order this stylish backpack today!